Welcome! No, we haven’t accidentally reposted a previous Ronin Roundtable. This week we return to the development of the new edition of Blue Rose Romantic Fantasy Roleplaying for the AGE (Adventure Game Engine) System rules, following our successful Kickstarter for the game. Blue Rose is through editing and now in production and layout, with Production Manager Hal Mangold hard at work both on laying out the book and assigning art to various artists to bring new visions of the world of Aldea to life. You can see a small sample of Hal’s design magic in the updated logo to grace the game’s cover above the fantastic new painting by artist Stephanie Pui-Min Law. In addition to art, we’re working with cartographer Phillip Lienau, who provided the maps for the first edition of Blue Rose (as well as the comprehensive map of Freedom City for Mutants & Masterminds) to update his work for the new edition, particularly for the two-sided poster map for inclusion in the book. We’re eager to be able to present Phillip’s work in full color this time. 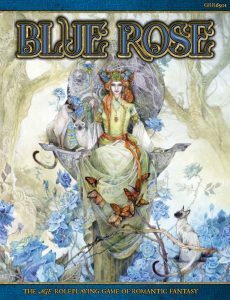 In terms of production, the new edition of Blue Rose is going to be sizeable: easily 300 pages (at Green Ronin, we like big books and we cannot lie), not quite as massive as the complete Dragon Age Core Rulebook, but easily the size of the Game of Thrones edition of A Song of Ice and Fire Roleplaying as a beautiful full-color hardcover book. Speaking of adventures, I’m also developing the first drafts of a number of short Blue Rose adventures by an exciting collection of authors, including Jaym Gates, Elsa S. Henry, Steven Jones, Kira Magrann, Alejandro Melchor, and Rebecca Wise. 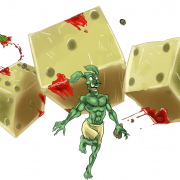 We intend to release these adventures as short, stand-alone PDF products and to collect them into a print edition to provide Blue Rose Narrators and players with a wealth of opportunities to tell stories in the world of Aldea. As you can see, that’s a lot of Blue Rose in the works! We’ll keep you updated as things progress, perhaps with some additional previews and looks “behind the curtain” as the book finishes production and gets ready for pre-order and PDF release. Naturally, our Kickstarter backers will have the first look at anything new that comes along, but we’re looking forward to making the new edition of Blue Rose available to everyone!